I've always had a love for cars. Whether it's admiring them for their design from the outside, marvelling at the technology lurking under their skin, or to getting behind the wheel and becoming part of the magic. From the day my parents bought me my first pedal car, I was hooked. I've been fortunate enough to have been able to afford a few nice cars during my time, and although they may not have worn supercar badges, I was proud of them and they made me happy (except when they irritated me). They empowered me to learn new things and meet some amazing people along the way...to me, this social aspect of owning 'special' cars is what defines us as Automitive Enthusiasts. It's not just about the huge Car Shows either. 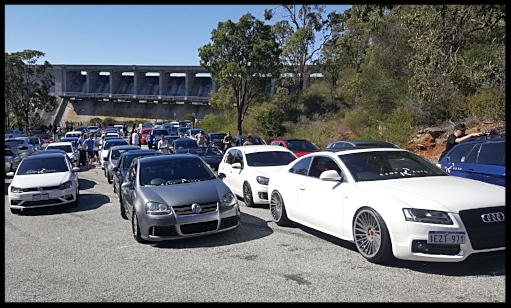 Equally as important are the small groups of speciality car clubs that offer unique events and meets for whatever type of car you may be into. The other important piece of the puzzle are the countless workshops and business that feed our insatiable hunger for car parts, modifications, restorations, maintenance and customisation. It's a celebration of the automobile and a celebration of those amongst us (and there is a lot of us) that find excitement in building, driving, watching, and loving our amazing machines. Follow my YouTube vlog as I capture some of the many local car events, meets, and cruises. There will also be showcased cars, the odd workshop session (as I try not to ruin my car), a spotlight on some of our local car enthusiast businesses, and some excursions onto race tracks (watch me make a hash of that)....and anything else that pops up on my travels.